Well, turns out the very foundation of the practice we use to obtain wellness may be hazardous. Yes, I'm talking about your yoga mat. 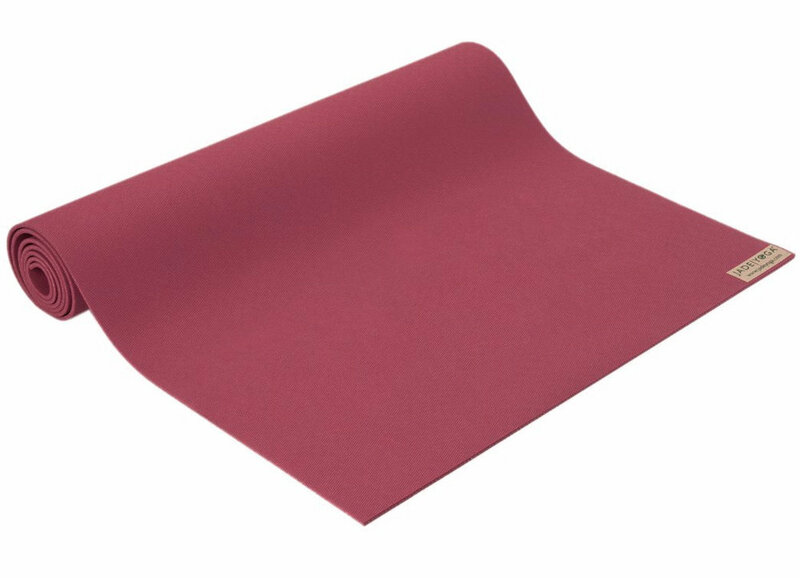 Most yoga mats are made from PVC (Polyvinyl Chloride), and from both an environmental and health standpoint, PVC is the most toxic plastic. This is because the chemical used to make PVC, Vinyl chloride, is a known to cause cancer in humans, according to the World Health Organization's International Agency for Research on Cancer (IARC). Yikes! This is scary stuff folks. Our yoga mat is a place where we often practice breathing exercises (pranayama), along with asana, so we may be deeply breathing in harmful fumes. If this is as concerning to you as it is to us, below are some safer options for your yoga mat. And don't worry, they're gorgeous! Cork is a material I can't say enough about. It's anti-microbial, eco-friendly, and water-resistant for a non-slip surface. Cork has a cushiony buoyancy that's great for yoga practice. Plus, it's a natural material that's renewable, recyclable and biodegradable. Yoloha Yoga has found a way to print beautiful images on these cork mats too. You can see them all here. The natural rubber used for this mat is firm enough to support the joints and stop the mat from bunching up when you're learning how to jump forward into a juicy uttanasana. Plus, the fabric-like texture keeps the fingers and toes from sweaty slips. The Manduka eKO Lite is touted as one of the most durable of the natural rubber mats, and it's one of the most eco-friendly. It's biodegradable, made from non-Amazon harvested materials, and all of its post-industrial scraps are collected to produce other useful items. 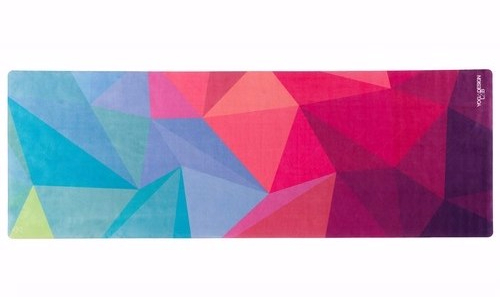 It took yoga experts three years to develop this version of the Manduka eKO. In addition to avoiding the Amazon for harvesting, this mat utilizes a special heating process to seal the moisture-wicking fabric and to eliminate the use of toxic glues. The result: a perfect blend of eco-consciousness, cushioning, and grip. This one is made with both natural cork and rubber, two eco-friendly materials. It's lightweight and great for everything from hot yoga to light stretching with its non-slip surface. Take your practice on the road, and leave your perspiration on the mat with this one. The microfibers of the Geo Travel are absorbent and foldable, yet still cushiony enough for a sweet and steady session. It's fitting that this throwback to a more traditional practice is handwoven in India. Unfold the gorgeous mandala design to gently stretch out and feel at "aum" wherever you are or roll it up into a bolster or meditation cushion. In addition to offering stability for your asanas, Jade taps rubber trees, a renewable resource, for these mats, and then plants a tree for every mat sold (that's over one million new oxygen-generators to date!). Talk about balance. The Yoloha mix of cork and natural rubber makes the Native Mat less weighty when lugging it from class to class. And at the end of a sweaty, non-session, the antimicrobial properties make it easier to clean and care for.